Law-enforcement brutal and lethal force is continuing inside the United States. 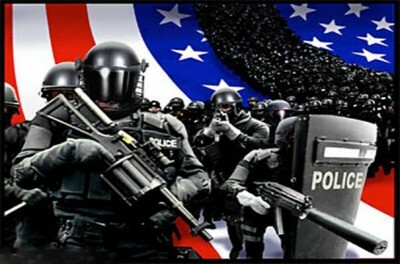 During 2015, two corporate media estimates, one in the U.S., the Washington Post, and the Guardian, based in Britain, say that approximately 975 people died at the hands of the cops throughout the country. In the Washington Post on December 26, it reported that the newspaper was seeking to study the number and character of police killings of civilians which they point out is not efficiently and scientifically done by the Justice Department, the highest law-enforcement institution within the government. The Post suggested that the number of nearly 1000 was twice as high as figures supplied by the Federal Bureau of Investigation (FBI). These are essentially the same arguments and rationales utilized by law-enforcement entities, grand juries, district attorneys’ offices, the courts and quite often the corporate media outlets, which rely on these state structures for explanations involving the use of deadly force. Nonetheless, in this same Post article is says also that 40 percent of unarmed men killed by the cops are African American, although they only constitute six percent of the overall population in the U.S. In addition, the Post indicates that 60 percent of those who are unarmed exhibited what is considered by them as less than threatening behavior. The same article notes as well where 25 percent of police shooting victims irrespective of race were being pursued in chases. This approach to reporting on what has become a cutting edge issue both domestically and within the realm of the U.S. image abroad, attracted the ire of the progressive news website Fairness and Accuracy in Reporting (FAIR), which in an article accused the Post of downplaying the problem of law-enforcement use of deadly force against African Americans and other oppressed peoples. Naureckas observes quite rightly the level of dehumanization of police killing victims in the U.S., particularly African Americans, in regard to how they were represented through the imagery of the Washington Post graphics in comparison to the Guardian report which carried photographs of the dead. In general the police attempt to “criminalize” the dead and wounded by making allegations that they were “suspects” for crimes or had criminal records, which are routinely repeated by the corporate media with the underlying suggestion that their serious injuries and deaths were justified. This problem persists despite the growth in the anti-racist movement popularly labelled « Black Lives Matter. » Hundreds of protests took place during the “holiday season” from the West to the East coasts and all across the South. Social media networks, websites and urban talk radio programs emphasized the need to refrain from shopping beyond what was essential, saying there should be no business as usual amid the failure of law-enforcement, municipalities and the federal government to protect the basic civil and human rights of African Americans and oppressed peoples. In Detroit, Kevin Matthews, 35, was killed by suburban Dearborn police on December 23, an action which has generated demands for a full investigation and prosecution of the cops involved. Matthews was unarmed when he was shot to death after being pursued from the suburban city on the border with Detroit into the city. Corporate news accounts of the incident claim that Matthews had a criminal background and attempted to grab the officer’s weapon. Demonstrations and press conferences have been held denouncing the killing and demanding that the name of the officer involved be publically named while he is supposedly on administrative leave. In Chicago, two more African Americans were gunned down on December 26 when police responded to a call related to a domestic violence incident. Quintonio LeGrier, 19, a college student on break, along with Bettie Jones, 55, a mother of five, were both gunned down in the West Garfield Park area of the nation’s third largest municipality. City officials say that Jones was killed accidently while attempting to provide a rationale for the use of lethal force against LeGrier. These deaths came amid mass demonstrations in the downtown business district demanding justice for Laquan McDonald, 17, shot sixteen times in October 2014 while walking away from police. On January 4, even Illinois Governor Bruce Rauner said he was “very disappointed” in how Mayor Rahm Emanuel and Cook County State’s Attorney Anita Alvarez dealt with the investigation into the fatal police shooting of 17-year-old Laquan McDonald. Both Emanuel and Alvarez have been requested by many people within Chicago to resign, which they have refused to do. In an attempt to change the focus of the discussions, Emanuel announced the arming of officer with Tasers, which can be just as deadly as any other weapon, and also announcing « de-escalation techniques » for the police. The U.S. political and economic system is rooted in racist violence and state repression aimed at maintaining the status-quo of racial capitalism. Consequently, the burgeoning movement to halt the use of lethal force will have to address this history as part of the contemporary struggle for its abolition. As the economic fabric of capitalism and its state structures experience deeper crises, the level of violence and repression will escalate. A greater emphasis has been placed on blocking retail outlets and refraining from any form of conspicuous consumption on the part of the oppressed, attacking the base of the system which is built on the exploitation of the majority of working people and African Americans as a whole.